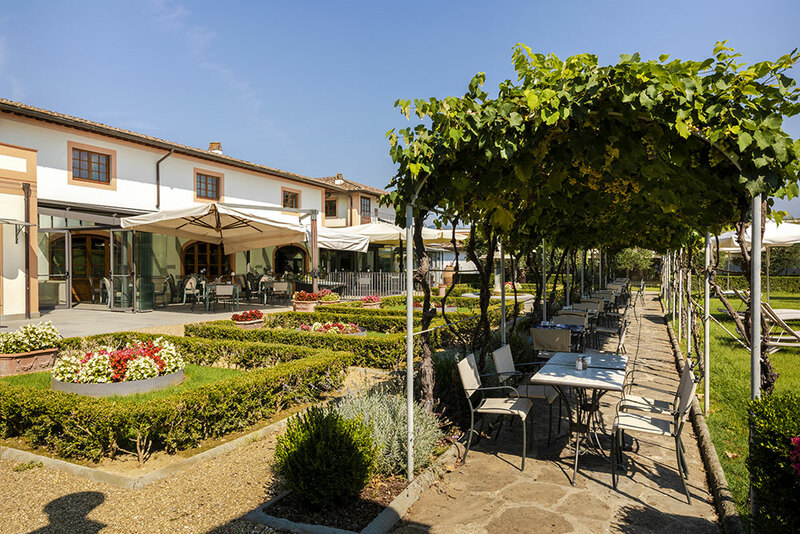 A ceiling with visible brick work, windows that frame the walls, with wines from the best cellars on display. 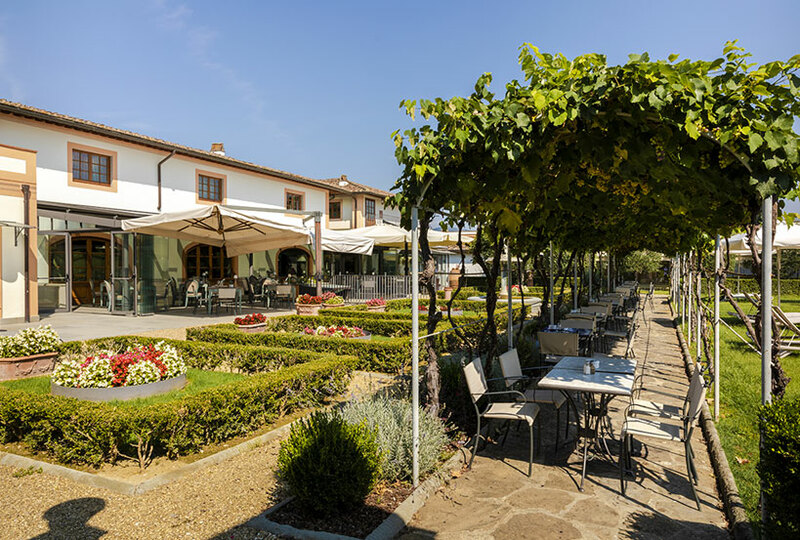 If you decide to taste Villa Olmi’s cuisine, this is the place. 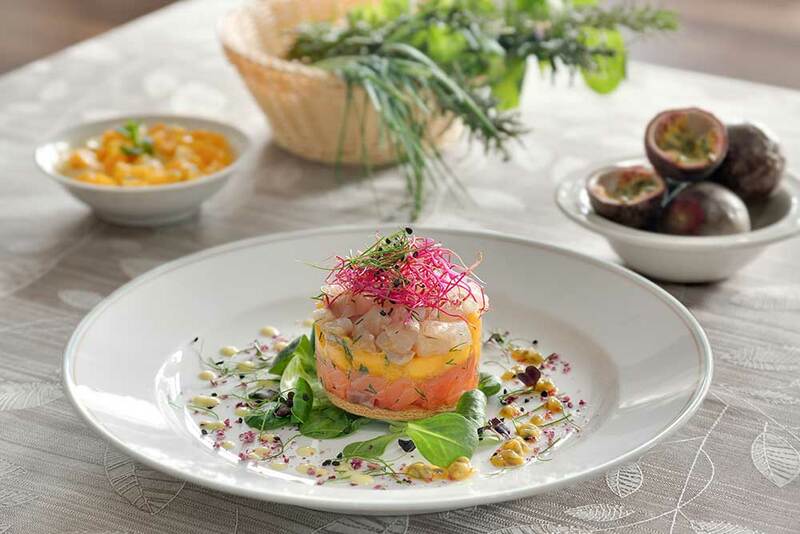 You’ll be welcome at the Il Cavaliere restaurant, where tradition meets our Chef’s desire to experiment. 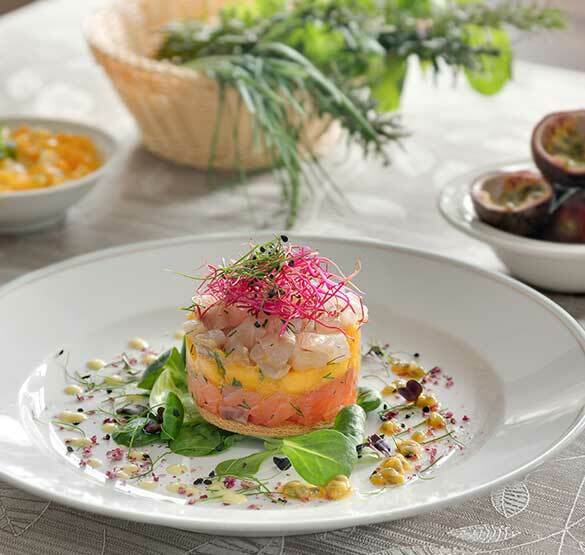 Our cuisine is a tour indissolubly linked to the land and the quest for basic ingredients that also respect the season. 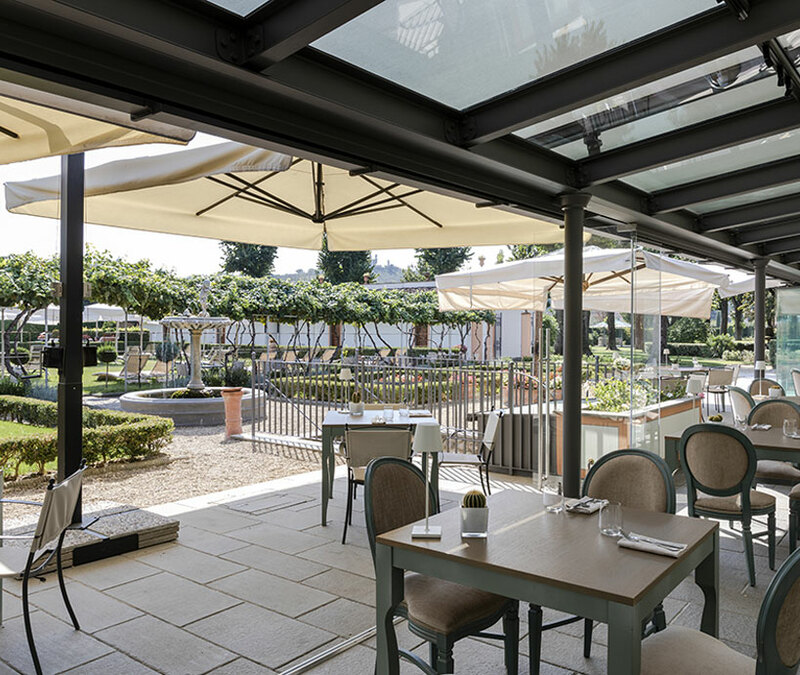 Adjacent to our kitchen is a small vegetable garden, set in the greenery of the gardens surrounding the farm, our example of the “zero-kilometre philosophy”. 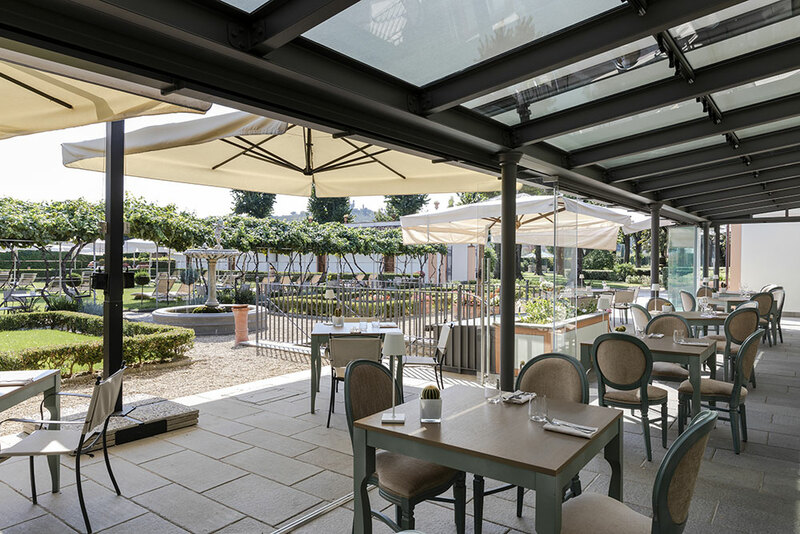 During the summer season, guests can dine outdoors, under the pergola, in a private corner of Villa Olmi Firenze’s greenery. 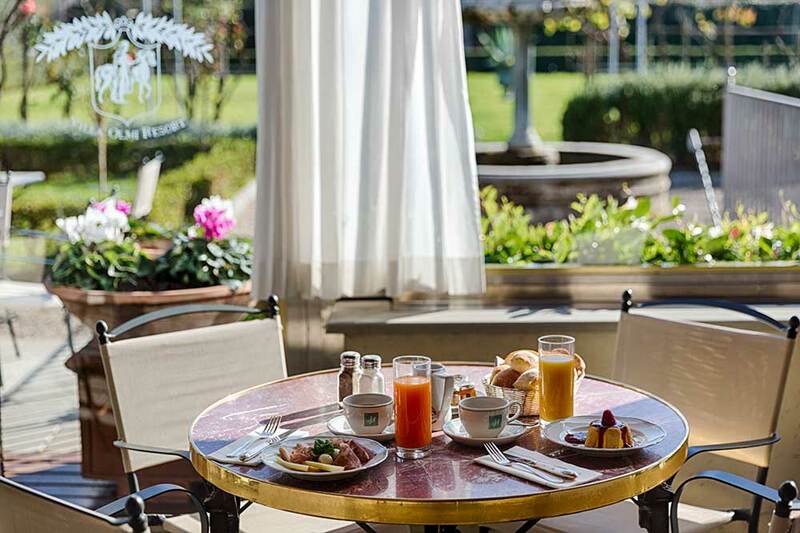 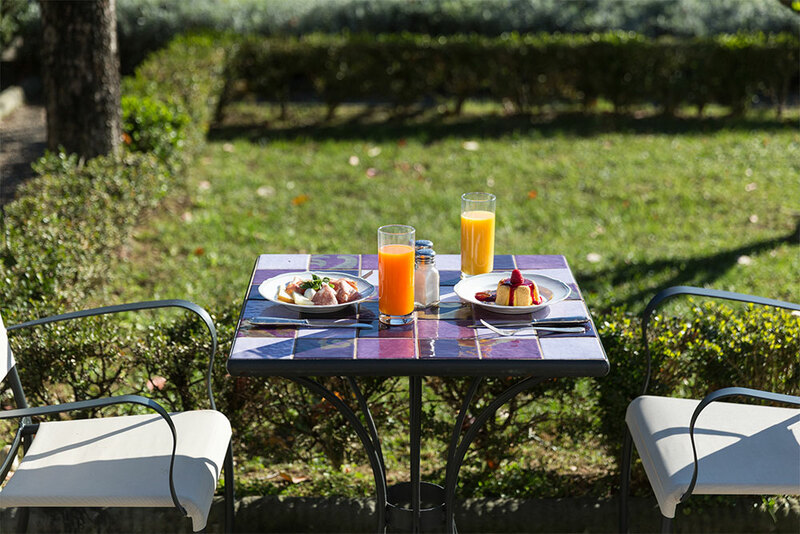 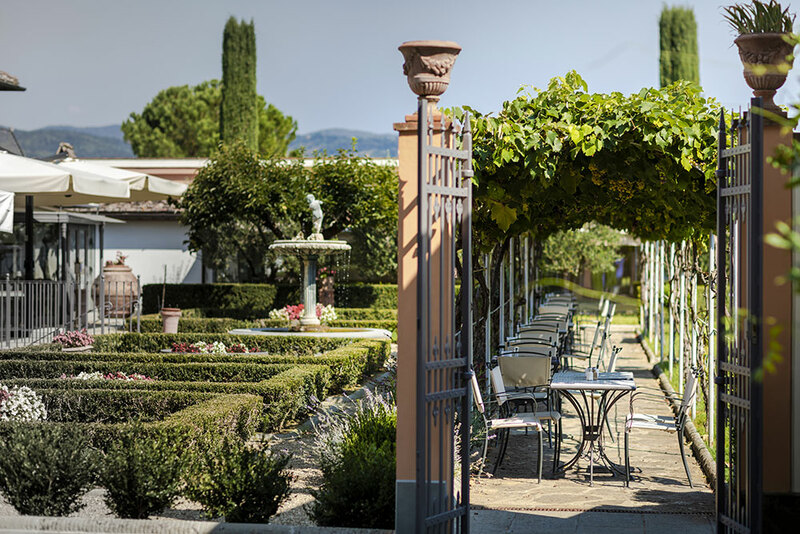 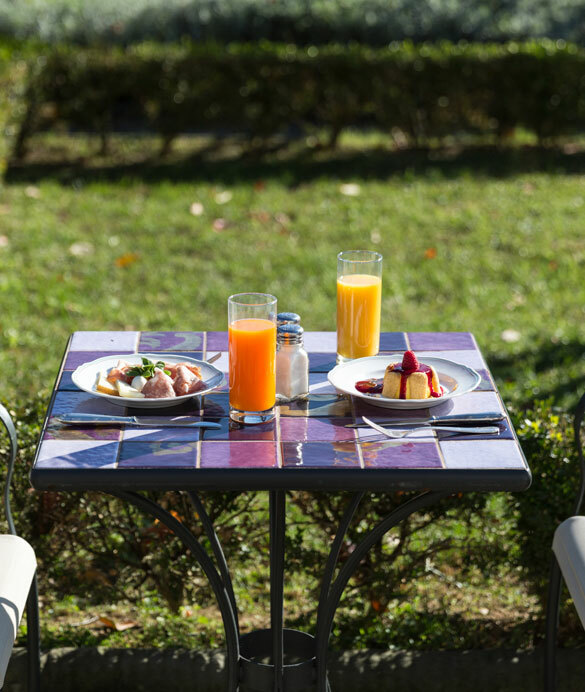 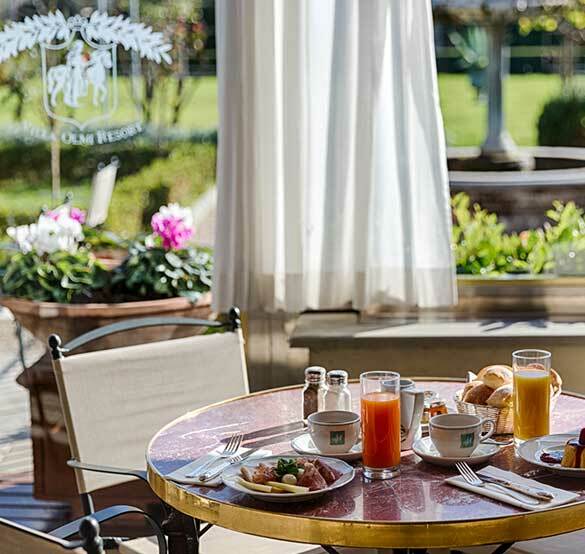 Overlooking the gardens, where aromatic plants scent the air, the veranda is the perfect place to enjoy an abundant breakfast, with a delicious choice of homemade baked goods and all types of cured meats and cheeses.